I propose to allocate an amount of Rs.500 crore for this, he said. Finance Minister Arun Jaitley on Thursday said the country needs a large number of "world class" centres of higher learning, and announced the setting up of five new IITs and IIMs. "The country needs a large number of centres of higher learning which are world class," Jaitley said while presenting the national budget for 2014-15. "I propose to set up the Jai Prakash Narayan National Centre for Excellence in Humanities in Madhya Pradesh," he said. He announced the setting up of five more Indian Institutes of Technology (IITs) in Jammu, Chhattisgarh, Goa, Andhra Pradesh and Kerala. "Five IIMs (Indian Institutes of Management) would be set up in Himachal Pradesh, Punjab, Bihar, Odisha and Maharashtra. "I propose to set aside a sum of Rs.500 crore for this," he added. 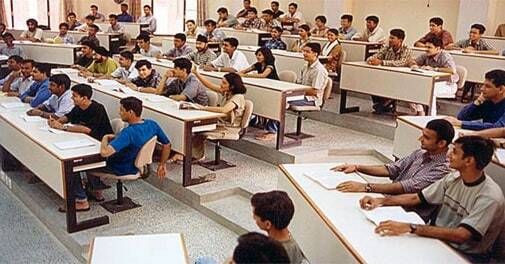 The 13 IIMs are located in Ahmedabad, Bangalore, Calcutta, Lucknow, Indore, Kozhikode, Shillong, Rohtak, Raipur, Ranchi, Tiruchirappalli, Kashipur (Uttarakhand) and Udaipur. Jaitley added that the government also proposed to ease and simplify norms to facilitate educational loans for higher studies. Stressing the importance of elementary education, the minister said there was a residual gap in providing minimal school infrastructure facilities. "The government would strive to provide toilets and drinking water in all girls schools in the first phase. SSA is a flagship programme to achieve universalization of elementary education in a time bound manner. RMSA aims to enhance access to secondary education and improve its quality. Jaitley added that a school assessment programme was being initiated at a cost of Rs.30 crore. "To infuse new training tools and motivate teachers, 'Pandit Madan Mohan Malviya New Teachers Training Programme' is being launched. I am setting aside an initial sum of Rs.500 crore for this." He also proposed Rs.100 crore to set up virtual classrooms as Communication Linked Interface for Cultivating Knowledge and online courses to take advantage of the reach of IT.